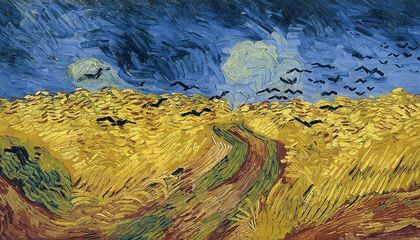 It’s easy to see why many art lovers are quick to identify “Wheatfield With Crows” as Vincent van Gogh’s last painting: From the darkening storm clouds visible on the horizon to the staccato brushstrokes of the painting’s eponymous birds, the scene screams tragedy. But a major piece of evidence—namely, a letter written by the Post-Impressionist that dates the work’s creation closer to July 10, 1890, a full two-and-a-half weeks before he committed suicide—contradicts this attribution. Instead, Zachary Small reports for Hyperallergic, researchers from Amsterdam’s Vincent van Gogh Museum now believe that a lesser-known canvas titled “Tree Roots” was actually the artist’s final work. The shift in thinking isn’t an entirely new development. In 2012, art historians Bert Maes and Louis van Tilborgh made a convincing argument for the painting’s place in van Gogh’s oeuvre, pointing out that “Tree Roots” is one of only two unfinished works dating to the artist’s final days. As Small explains, van Gogh rarely left canvases incomplete. Hyperallergic’s Small details several additional arguments for “Tree Roots”’s true place in van Gogh’s oeuvre: Some researchers believe the artist’s style grew more disjointed toward the end of his life, embracing abstraction to an extent unseen in earlier works. 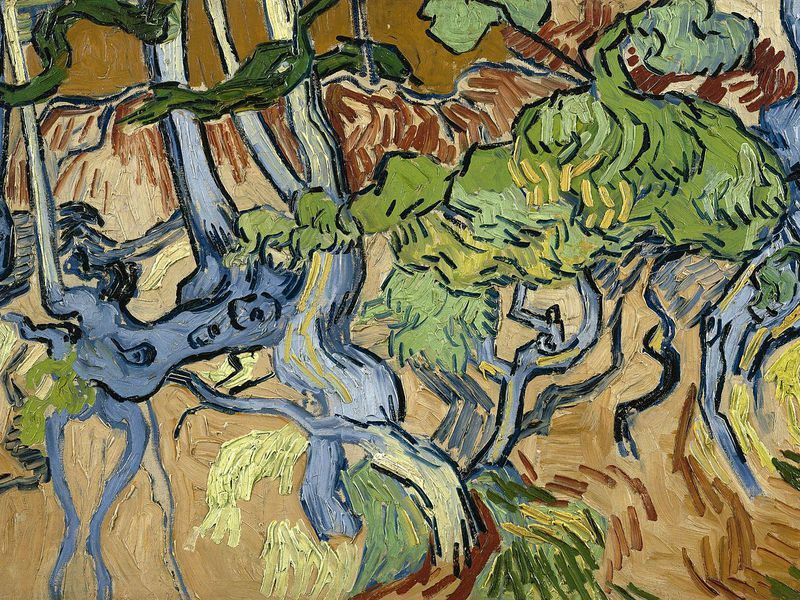 Indeed, the subject of “Tree Roots” is decidedly harder to discern than that of “Wheatfield With Crows” or “Farms Near Auvers,” the only other unfinished work produced during van Gogh’s twilight months in the French village of Auvers-sur-Oise. This description fits “Tree Roots,” which breaks from the ominous tone of “Wheatfield With Crows” to offer a palette filled with a sea of subdued blues, greens and browns. “The roots have been laid bare, torn from the earth and hanging perilously,” senior researcher Louis van Tilborgh (co-author of the 2012 article regarding “Tree Roots”) explains for a 2016 Van Gogh Museum video analyzing the painting. In some ways, the painting appears to function as a goodbye. Interpreting the message of the work, Van Tilborgh suggests it's van Gogh's way of saying: “I have lived, just like those tree roots. I’ve done my best, I’ve struggled with life, I’ve grown, had setbacks and now is the time it ends. I am falling."